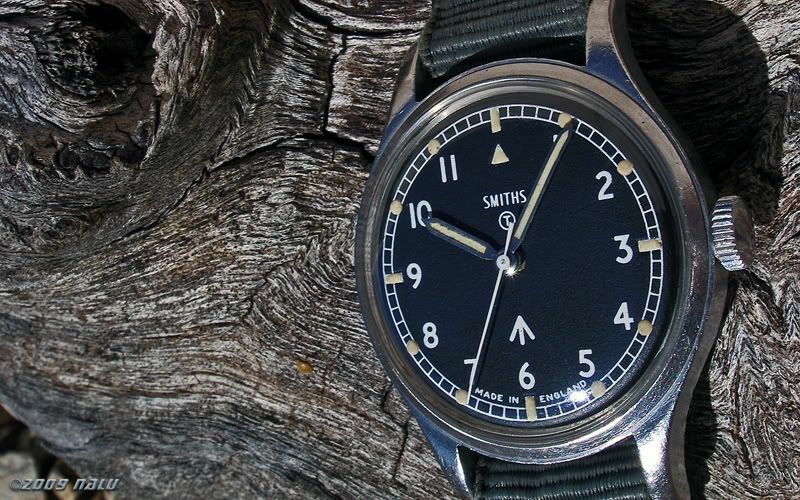 Latest watch from the newly re-launched Smiths brand owned by Eddie Platts (timefactors.com). 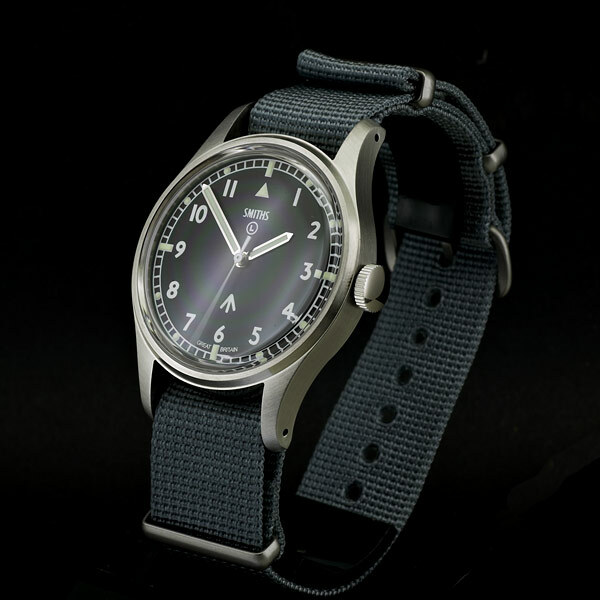 You may recall the Mondaine-a-like that was put out earlier in the year. Larger (39mm), with Luminova (hence the (L)) and with a catchy new name (PRS-29B) and NSN (-300-1595), the W10 has been 'reborn'. It's scaled up better than might have been hoped. The logo looks a little odd to me - too clunky on both the front and the back. Hands look a little choppy to me (original hands had a far pointier lume infill). Just looks a little 'sterile' tho. Needs to be lived in. I would have thought that aged lume pips and triangle might have taken some of the sterility out of it (as Luminova is never going to give you the rich colour of the originals), but I guess that's what Platts (and the many posters who provided input) wanted. Last edited by Noodlefish; 20-04-2010 at 09:11. When I said *lived in*, this is what I meant. Sadly no longer in my possession (and remains the only watch I have sold). Got to admit I like that. I thought the first Smiths offering from Eddie was truly appalling and I feared he would tarnish any remaining credibility the name had/has. I think he's made amends with this model though. Any idea on price yet M? Sorry I can't be arsed to read through a zillion sycophantic fanboy posts over on TZ-UK. No idea on cost. I'd have thought £379 would be a reasonable price point, given his other models? From the pictures, it's looks like the movement's non-hacking? The ETA2801 should be hacking, perhaps he didn't pull out the crown? Probably not fair to post these photos, as it is obviously a prototype. Hey ho. That's a very precise figure M, are you privy to some insider info on this? I don't think the crown is pulled out on the pics, hopefully it will have a hacking function. There seems to be a lot of interest in this so I'm more inclined to wait until they filter through to the used market. They're a fickle bunch (aren't we all ) so it won't take long. 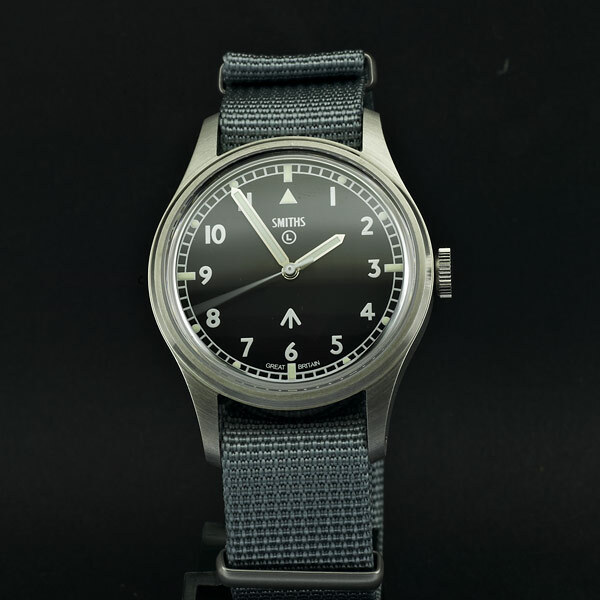 I guess you know there will be two versions - 36mm with fixed bars (faithful to the original) and 39mm with drilled lugs and shoulderless spring bars. When the PRS 50B was launched (the 50A was the 'no rads' 50 fathoms homage, the 50B was the no-date LIP version homage) there was a clamour for aged lume (from the sycophantic fanboys, presumably) and Eddie said then the minimum order quantity from the luminous paint supplier was simply way to high. Not only the expense but Eddie hasn't been happy with the quality of the aged lume samples he's seen. As I said. I have no idea re cost. He currently sells a lot of watches in the £300-400 region. Everyone's been moaning about costs going up, so expected some inflation in prices eventually. Plus, I'm an Apple person, so naturally tend towards the Apple kind of model where everything tends to be £299 for the small one and £379 for the larger one when it first comes out! Seriously. I have no idea. Price point is tricky when you can still get an original for the same money. Unlike the 50B, et al, these don't (yet) go for silly money, so you either produce a cheap one (a retro-styled G10 quartz, perhaps) or a full-spec, premium product (a W10 you can actually get wet!). I like it, a lot. And am seriously tempted, given a reasonable price point. But the more I look at it, the more the hour and minute hands bug me. At the pinion end, the flaring neck from the round pinion mount to the full width is too short, so the lume starts right at the base of the hand. And at the pointing end, the lume stops square (as has already been mentioned). As a result the lume section is very long, and completely rectangular. The hands (minutes especially) look a little crude, in my eyes, lacking the elegance that the original so obviously has in spades. But for a scale up, from 36mm to 39mm it is a great piece of work, overall, and Eddie is to be applauded for this effort (much more than the first Smiths he released, which I personally do not gel with at all). Not really my cup of tea this one. I haven't read the fawnmail over at TZ. I can't really see the point of the 36mm version when you can buy the real McCoy for about the same money - it seems rather like buying repro' furniture when you could buy the antique from which it is copied for the same price or less. From an economic point of view, bearing in mind that the original W10 will hold its value or appreciate whereas this repro' will depreciate, why buy the copy? As for the larger version, again, what's the point? 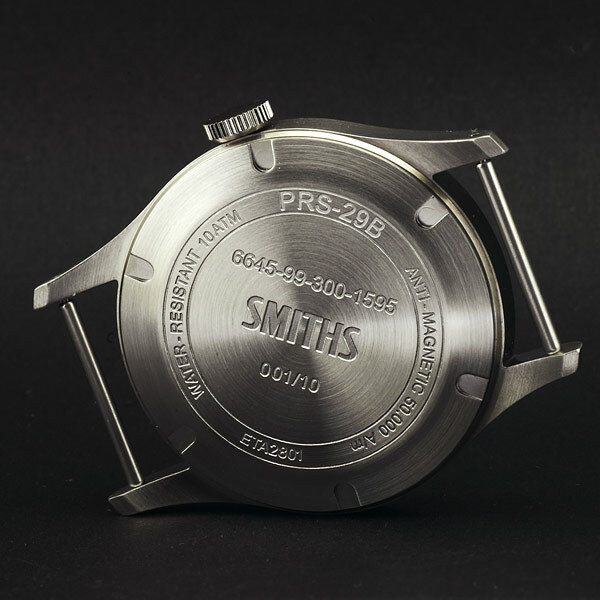 These W10s are not expensive watches and spares are easy to find - there's even a shop specialising in original Smiths watches in Tunbridge Wells. Can someone explain "Why?" to me please?! If it was a £100k grail watch I could see the point but it's not. Last edited by StampeSV4; 21-04-2010 at 09:59.